on Friday, 26 September 2008. 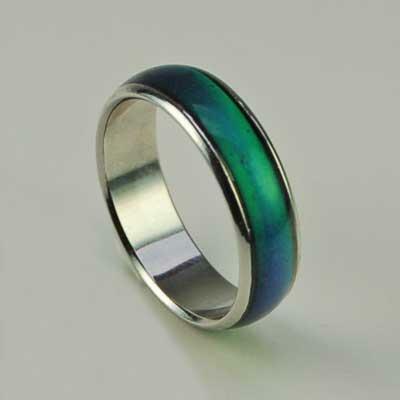 My husband, being unhappy with my menopausal mood swings, ?bought me a mood ring the other day so he would be? able to monitor my moods.?? We've discovered that when I'm in a good mood, it ?turns green. When I'm in a bad mood, it leaves a?big red mark in the middle of his forehead.? ?